Back in March, in the wake of L'Wren Scott's suicide, I wrote a blog post about my struggles with depression and times in my life when I've felt suicidal. 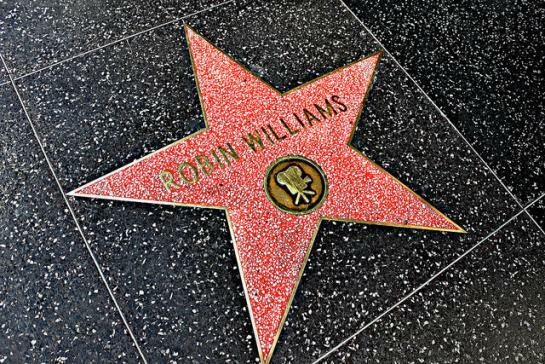 Today, in the wake of Robin Williams' suicide, I updated that post and posted it to Huffington Post. You can read it here. Honestly, I wasn't going to share that post. It's even more personal than the first one. After I hit "publish" I felt weird and then I decided it would just get lost on HuffPo and that would be that. The post wasn't pinned to the site's front page or any other prominent spot. Essentially, if I wanted others to see it I'd have to share it. So I decided I wouldn't. Two hours later I received an email from a Today show producer who'd read it and wanted me to share my story for a segment on Williams, depression and suicide. Later that evening I talked to another producer who told me she'd lost someone to suicide and my post brought tears to her eyes. It's still difficult for me to share this but I think it's important. Not so much because it's my story--but because it's the story of so many other people, too. So, yeah, I might be on the Today show. Then again, maybe I won't. That's not really the point here.